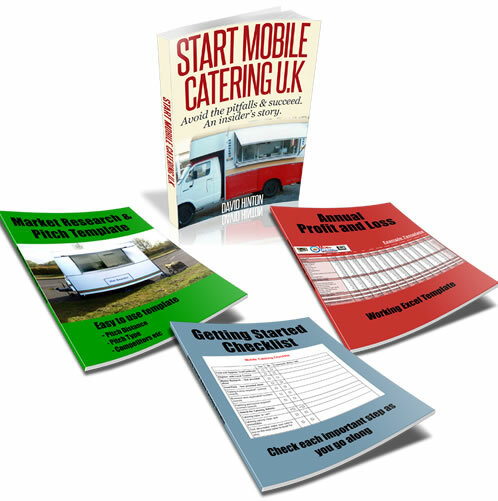 Hi- I have had my catering van for three months now, its right outside a train station in a town centre, and a car park which holds over 600 cars! I was hoping to make most of my money in the morning- getting all the workers. After 3 months. I'm making 50 a day if I'm lucky- sometimes it can be as little as 30! I have had ok days making 100- but this isn't often. It’s all near a rugby stadium, just waiting for the rugby season to start again! Everyone keeps telling me it takes time? But how much time should I give it? Around 3000 people pass my van every day (shoppers, office workers, a few contract workers) if I could get a small percentage of these to stop. I just want to earn enough to have a nice lifestyle! I love the job- put in every hour god sends- I'm just not making money! Thanks for your help. The platform itself already has someone who sells specialised coffee- I was aware of this when I looked at the pitch. Although- his are really expensive in comparison to mine, so I will try and promote mine. I am also waiting on some leaflets now, for a text and collect service- so people can text their orders on the way to work and then it will be ready! So hopefully this will help some more too! Also got some banners coming too- and made some posters to put around the car park! I already do sandwiches, all freshly made to order- again I will try and promote these some more. Its so frustrating, those who stop and try my food do come back- so I just know if I can get them to stop and try, I will get their repeat custom! I do think its all about letting customers know I'm there at the moment- its just taking a lot longer than I originally thought. Just an idea. All the commuters who pass you on their way to work each day... Do you think there might be a Market for some speciality teas and coffees or could you just promote your normal teas and coffees? Just seems to me waiting on a cold platform Is an ideal time to sup a hot drink, especially if you've rushed out of the house. People may not want bacon butters so much as they've only just got dressed so would be wary of spilling sauce on themselves so early in the day. Don't know if this is of any use but it's the first thing I thought of when I saw your query. The other thing I thought of is takeaway salads and sandwiches etc for people's lunches, handy if they've left theirs in the fridge at home by mistake or haven't had time to make one before leaving home for the day. You could try toast and butter and/or jam, people may want a breakfast but not something as substantial as a hot sandwich. Hope these ideas are if some use to you. Good luck! Just a few questions for you to think about, are you proactive in marketing your business? Do have clear signage, leaflets and flyers to let people know what you sell, prices and meal offers etc? It might also be a good idea to flyer cars with your business details that promote offers, coupons and loyalty deals. How about a call and collect service so people can place orders over the phone and collect during lunch. It may be worth finding out what the competition is offering and then offer something more competitive. As for December, winter is the best time of year to sell hot food and drinks so I doubt it’s down to this. I would really spend the next couple of months pushing, promoting the business forward, and then have another review to see what’s working and what’ not. Hopefully this will give your business the push it needs.